Have you jumped on the newly returned shaker box trend? Now that we are swimming in sequins, it is back and I love it. My tiny bottle (filled with shiny sequins) is cut using a die from Top Dog Dies. 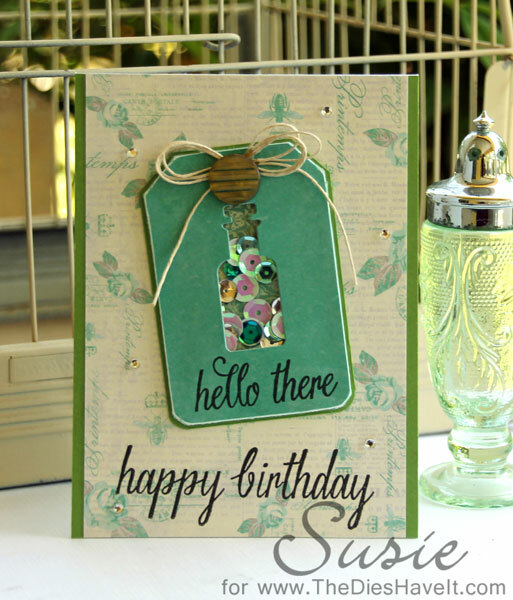 When I was a guest designer for them last month, they were so sweet to send me a few of their wonderful dies. This one is part of a set you can find right here.